We had a four days over the holiday weekend to get some range time in and run the chest rigs fully loaded to make sure the padded harnesses were doing their job. Four 10 hour days without taking the AK chest rig and padded harness off. 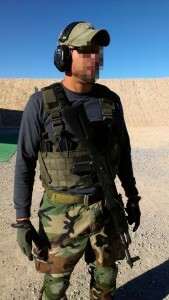 I’m still amazed at how low profile the AK chest rig is carrying 5 fully loaded magazines. The padded harness makes a huge difference in the comfort level and platform stability. We had a mix of paper and steel. 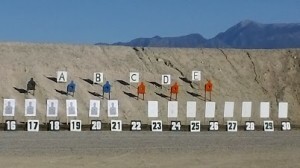 I will take steel any day. 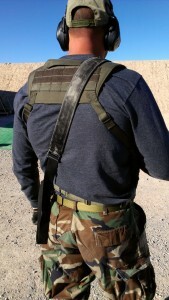 The AK chest rig and padded harness were ran through multiple movement drills and shooting positions from standing, squatting, kneeling, sitting, and prone. The padded harness brings our AK chest rig line to a new level of performance for the light fighter. 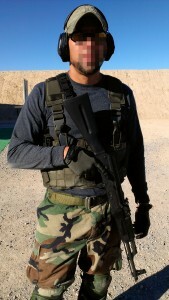 The Chest rig Hydration carrier was design to enhance your BCS chest rig and padded harness. It has to be one of the most simple hydration carriers available on the market. If you are looking for a way to carrier your hydration bladder with a chest rig this is it. The chest rig hydration carrier is available in Multicam, A-TACS AU, A-TACS FG, Coyote, Khaki, Ranger Green, OD, Woodland and Black. UrbanTiger made a nice video showing how the padded harness adds comfort, function, stability, and enhance performance to the BCS AK47 chest rig. The padded harness distributes the weight over a wider area across the back and shoulders. Because of the low profile design it helps maintain a very low signature. This is a super upgrade for our light fighter chest rigs.